In this day of dance and movement, we’ll be finding the home of our trust, and how it gives rise to our freedom. Through our body we may experience both trust and freedom and the continuing dance between the two. What do we trust? What gives a sense of solidity, an inner knowing, that we can lean into and grow from? We’ll take stock of all that is home ground, all that supports us known and unknown. From this foundation, we cultivate our own sense of freedom, through our body and our being. Taking the risk to move from habitual to inspired living. When we grow our base of trust, it sets us free to be who we are. In Open Floor, we use our dance to practice moving on every level – body, heart, mind and soul. So that when life moves us, big or small, we can respond creatively and wholeheartedly. All are welcome to this day of dance and exploration at the beautiful venue of St Mark’s Church Hall in Newmarket. For any further information, please contact Sacha directly on 021 046 7699. Sacha is a certified Open Floor Movement Teacher. 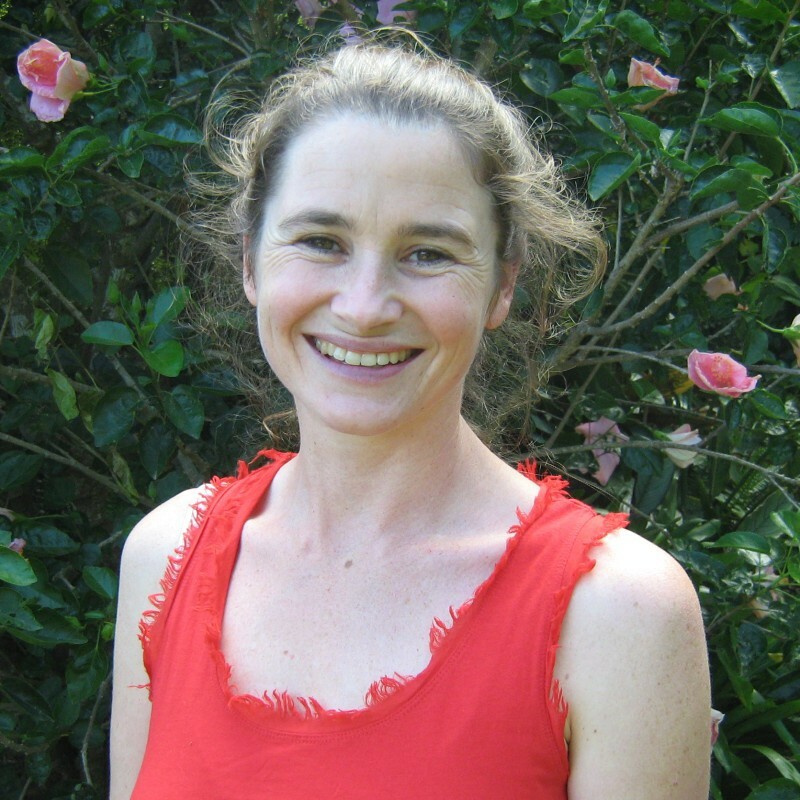 She has been dancing and loving conscious movement for 18 years. She offers an inclusive space to explore your dance deeply and playfully. 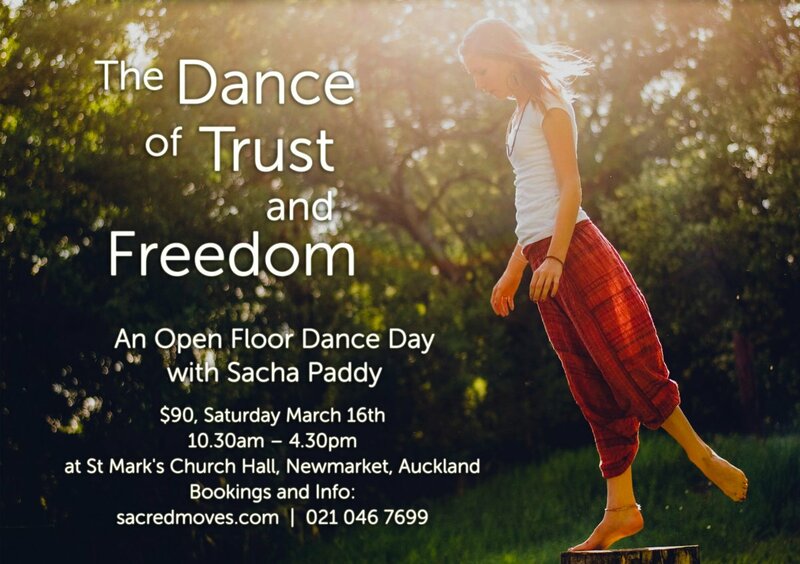 Please fill in the form below to register your place on The Dance of Trust and Freedom with Sacha Paddy. Payment options: Internet Banking or Credit Card via Stripe. There is a 2.9% surcharge fee when paying by Credit Card. Refunds are available, less a $30 admin fee before the end of 28th February 2019. No refunds are available after that date unless we are able to fill your place from a waitlist. Your registration is not complete until full payment is received. The venue, dates and timings are all subject to change. By submitting this form and attending our workshops you acknowledge the inherent risks associated with movement, dance, Yoga and any physical exercise. You accept those risks and enter into these workshops freely of your own decision so that they will hold no-one to blame for any injury, whether physical or mental, arising out of the attendance of our workshops. Please pay within two days of making this booking and state your name as the reference. The booking is secured once the payment has been received. Please email Sacha on sacha@5rhythms.co.nz once you have made the deposit to let her know. Thank you! Please enter your credit card details. Note that this is a secure payment via Stripe and we do not keep a record of your details. Please arrive at least 15 minutes early so that we are ready to begin on time. Please bring your own lunch, pen and paper to journal and water to keep yourself hydrated. We suggest wearing layers of clothes which are easy to move in and you can adjust so the temperature is right for you. If you have any questions please do not hesitate to email at sacha@5rhythms.co.nz or phone on 021 046 7699.